Wyevale Garden Centres (WGC) said 2014 had been a "transformational" year, as it released annual figures showing growth in both sales and profits. In the year ending December 28 2014 the group achieved a 5.1% rise in revenue, from £276.2m in 2013 to £290.4m, and 31.4% growth in EBITDA from £42.7m to £56.1m - reflecting effort made in strengthening productivity and reviewing the cost base. The successful integration of WGC's 2013 acquisitions also resulted in "a significant uplift in EBITDA for those sites year on year and demonstrating the value the Wyevale Garden Centres has been able to add". However, the company said mixed weather patterns had impacted footfall. There was strong growth in concession income too, up 25.7% from £14.4m to £18.1m. New high-profile brands include Brantano for footwear, Jolleys for pets, Costa Coffee franchises and Peacocks for clothing. Overall, horticulture delivered 42% of revenue, garden 26%, and restaurant and home 16% each. Operating profit rose 55% from £22.0m to £34.1m, and gross margins increased by 3.3% to 56.5% as a result of operational initiatives including stripping out non-core products, introducing central hub distribution, completing a supplier re-tendering process and "taking a rigorous approach to attaining cost-efficiency”. 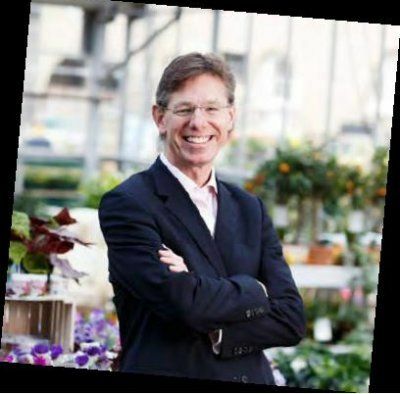 "Wyevale Garden Centres has had a transformational year," commented chairman Stephen Murphy, "strengthening our position as the UK's largest garden centre retailer. "We adopted our national brand identity building our horticulture heritage, strengthened the core of our business through modernised operations, broadened our retail proposition and award-winning restaurant offer, invested in improving our centres for customers, and increased our number of high-quality garden centres to 148 during the year. This number has recently risen to 149, following the acquisition of Armitages in June this year." During the year the company completed the acquisition of nine garden centres: Brooks, Moreton Park, Poddington, Raglan and Ashford, alongside the Golden Acres Group's four centres. "These accomplishments are the building blocks of our strategy to build upon the garden centre's unique role as not only a retail but also a leisure destination to grow sales and expand our business," Mr Murphy added. The year also saw WGC start to roll out a store improvement programme, which aims to improve category adjacencies and category mix of the retail offer. A restaurant improvement programme is under way as well, with restaurants being re-launched under the banner of Garden Kitchen. In addition, the company introduced its own in-house coffee shop concept, Coffee Ground. WGC CEO Kevin Bradshaw said he was "delighted by the overall performance of Wyevale Garden Centres. In 2014 we delivered a positive increase across all key financial metrics and a 99% increase in EBITDA since 2012." He added: "2015 has been equally promising as we look forward to launching a full multi-channel offer which, with home delivery and click-and-collect, will offer greater ease of shopping for all our customers."